Marked 'Turret' on Larkin's 1812 map of County Meath and on the O.S. six-inch map, this was a landscape feature in the demesne attached to Herbertstown House. It is very likely that this was originally a prehistoric burial mound; Fourknocks passage tomb is less than a mile west on the same ridge. 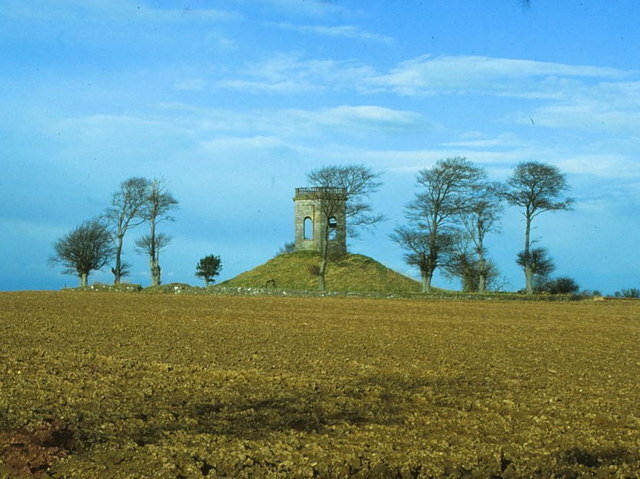 This mound is visible from the large passage tomb at Bremore on the coast four miles to the east O1965 : View north from Bremore, Co. Dublin.